With inbound tourists visiting Japan surging to a record 19.73 million last year means more visitors than ever are looking for avenues to not only escape the crowds, but check out some less familiar attractions. 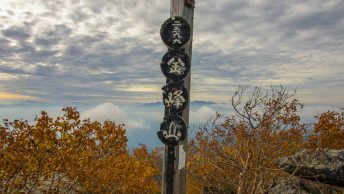 As a follow-up to Ridgeline Images rundown of the 10 Lesser Known Places to Visit near Tokyo today we present the second instalment. 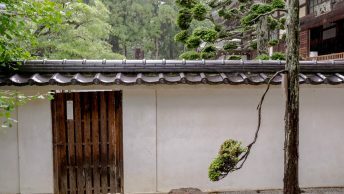 These new locations have been selected to not only steer you away from the tried-and-true, but underscore some of the more unusual and beautiful landscapes which surround the greater Tokyo region. As far as mountain shrines go the Mitsumine Shrine in Chichibu stands proudly as one the best in Japan. The shrine sits at 1,100 metres elevation in the heart of the Chichibu Tama Kai National Park. Many visitors drop by the 2000-year-old shrine complex on the way to nearby Mount Kumotori the highest mountain in Tokyo. Provided an early start is made its possible to visit the shrine as a day trip. The quiet forests and tranquil surroundings allow plenty of opportunity to immerse in both the local history and natural environment. The bus from Seibu-Chichubu Station arrives at the parking area of Mitsumine Shrine a short walk from the main shrine. Access: From Ikebukuro Station take a train to Seibu-Chichubu and transfer to the Seibu bus service (3-5 daily buses) which takes you to the Mitsumine Shrine (1hr 15mins, 930 yen). For a spot of light spelunking the Nippara Limestone Cave in the Okutama District of Tokyo fits the bill nicely. Located 30 minutes by bus from Okutama Station the cave is a drawcard year round, particularly in the summer as it maintains a constant 11ºC. It’s not certain when the caves were first discovered but they have been a place for religious pilgrimage since the Edo period. A secondary cave system was uncovered in 1962. The cave doesn’t really have any confined spaces and opens into a large central chamber. Around 60 percent of the cave system is open to the public and takes around 40 minutes to fully explore. Access: Take a 33 minute bus ride from Okutama Station (bus stop 1) and get off at the Nippara Shonudo bus stop (500 yen) a 5 minute walk. Weekend buses terminate at the Higashi Nippara bus stop a 25 minute walk. Entry fee: Adults 700 yen / children 400 yen. Open daily 08:30 until 16:30. The stunning Nishizawa Gorge is situated within Chichibu Tama Kai National Park in Yamanashi Prefecture. Whilst it’s possible to visit as a day trip, getting there takes around 3.5 hours from central Tokyo. A better bet is stay overnight at one of the many traditional Japanese inns scattered through the Nishizawa Valley. The 10 km loop trail takes around 3-4 hours and culminates at the Nanatsugama Godan Waterfall which is one of the 100 best waterfalls in Japan. Access: Easiest access is from Enzan Station on the JR Chuo Main Line. A regular weekend bus service runs from late April through late November and every day in October until the end of November (1hr, 1030 yen). Along with its larger sibling Showa Kinen Park in Tachikawa, Koganei Park is a sizable recreational area in west Tokyo. The park is geared towards families with plenty of activities to keep the youngsters entertained including a cycling course, sledding run, open fields for ball sports and grassy stretches for picnicking. There is also an area set aside for BBQs and tennis courts are available for hire. Another worthy attraction here is the Edo-Tokyo Open Air Architectural Museum which exhibits the homes of former dignitaries as well as middle class Japanese and shops from the Meiji period. Access: At Musashi Koganei Station take a bus (north exit bus stop 2 or 3) and get off at Koganei-koen Nishi-guchi (free entry to park; Museum: adults 400 yen, children free). This out-of-the-way waterfall is situated in the back reaches of the Okutama watershed. From the trailhead at Kawanoribashi it takes around 1 hour and 40 minutes to reach the Hyakuhirono Waterfall. 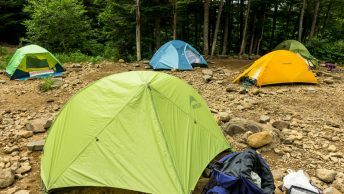 The first section follows a forestry road before veering onto a hiking trail and shadowing a mountain stream. The extended travel is well worth the effort as the spectacular waterfall plunges some 40 metres. Apart from peak holiday times you’re more than likely to enjoy the cascades in relative peace. Sturdy footwear is essential as the final descent down to the waterfall can be quite slippery. Access: Take a 15 minute bus ride from Okutama Station (bus stop 1) and get off at the Kawanoribashi bus stop (260 yen). The cluster of 219 ancient burial tombs sculpted into the sandstone cliffs provide a rare glimpse into burial practices from 1,300 years ago. The Hundred Caves of Yoshimi were first excavated in 1888 and given their age are rather well preserved. Visiting the tombs makes for a bit of adventure as well, as apart from a few entrances which are cordoned off, many can be crawled into. Look out for aged ‘graffiti’ scored into the inner tomb walls and a couple of caves contain a form of a rare luminescent moss which give off a greenish glow. Access: The caves are located about 2km from Higashi-Matsuyama Station on the Tobu Tojo Line. From the station options include a 5 minute bus trip or a 25 minute walk. Entry fee: Adults 300 yen / children 200 yen. Open daily 08:30 until 17:00. Lurking beneath the Caves of Yoshimi hides a rather sinister past. In closing months of the Second World War the Yoshimi War Tunnels were hastily dug into the sandstone cliffs to manufacture munitions as a last ditch effort to ward off air strikes. The Korean labours enlisted to carry out the extensive excavations managed to carve out 6.7 kilometres of tunnels before Japan surrendered. While only about 10 percent of the tunnels are open to public viewing they rouse a rather eerie atmosphere. Access: See access for the Yoshimi Caves above. On the surface the thought of visiting a fish ladder sounds rather unappealing though the Shiromaru Dam fish ladder in Okutama does hide some secrets. 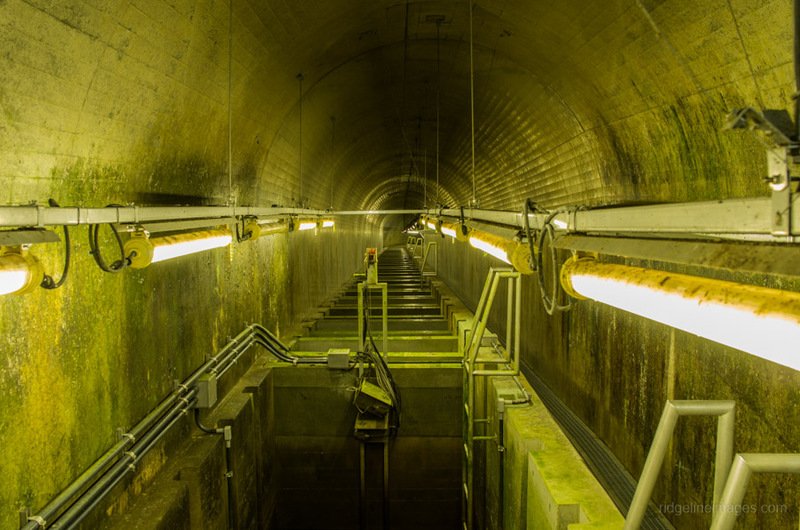 For starters it’s the longest of its kind in Japan and access to the ladder requires negotiating a long spiral staircase into the fish ladder’s inner sanctum. Here is where the real action takes place with the resident fish passing along the 330 metre ladder. While the installation looks somewhat akin to a clandestine underground bunker, the free entry along with cool temperatures in the summer makes it a pleasant place to stop by. Access: The fish ladder is a 10 minutes walk from Hatonosu Station (JR Ome Line) and adjacent to the Shiromaru Dam. Open weekends from April through November (free entry). Riding the Hodosan Ropeway is like being teleported back to the 1960s with the ropeway cabins and facilities little changed. That the ropeway still runs is a credit to the operators, as its path up to Mount Hodosan provides a rather impressive backdrop over the Nagatoro township and surrounding mountains. In January fragrant the Robai or wintersweet trees come into bloom and in the autumn it’s the changing foliage which vies for attention. As an alternative to riding the ropeway down its possible to hike back by way of a vehicular trail. For children there is a Small Animal Zoo on the way down from the upper shrine. Access: From Nagatoro Station (Chichibu Main Line) head west for 700 metres along the road heading up to the Hodosan Jinja. The ropeway terminal building is located a little above the main car park. Ropeway runs at 30 minute intervals (820 yen round-trip; Daily 09:40-16:30). While somewhat misleading as the site of the former Hachioji Castle now lies in ruins it remains one of the better former castles to visit in the Tokyo area. Archaeologists only began excavating the site in the early 1980s rebuilding many of the original stone walkways, terraced walls and a bridge into the palace grounds. Along with the ruins the expansive grounds mean there is plenty of forested and open areas to enjoy a picnic. Look out for the friendly volunteer guides and an English pamphlet is also available on request. Access: From Takao Station (JR Chuo Line) take a bus for Reienmae 15 minute walk (free entry).